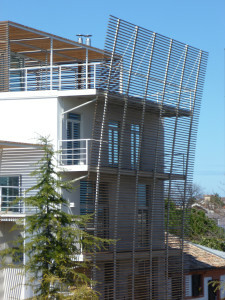 When we talk about shading walls we refer to walls or windows of buildings covered with different modules or shading panels positioned so as to achieve full coverage of the facade and have the function to filter the light and the heat that comes from the outside, with significant savings energy. 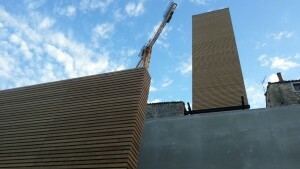 It can then realize complete wooden claddings, where the staves are normally used for the brise soleil, are exploited to cover the building, defining different sizes, and the presence or absence of leaks, and obtaining as a result a work with great environmental impact and high aesthetic result. You can also develop ventilated walls Sunscreening where the panels are placed at a distance from the underlying structure that allows the exchange between hot air and cold air. 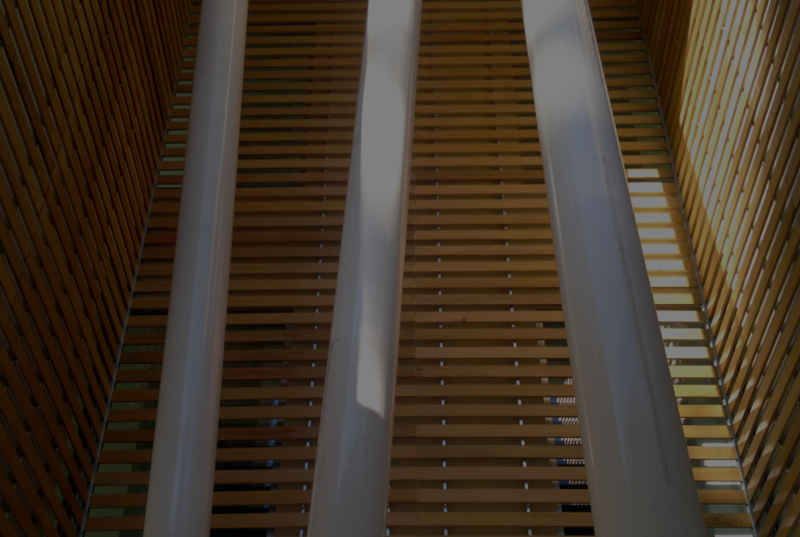 In these walls, when there is the need for use of particularly hard woods of Moganoidi are used, which have a higher impact resistance; while in the case of structures more marked to the decoration and ornament of the building, where there are no risks of contact, they are used wooden slats softer and more ductile. All woods used by Albero Maestro are treated and processed so as not to suffer from corrosion by atmospheric agents and, once you reach the natural oxidation point, do not need further maintenance or treatment. In the realization of these works, the technical study of the Albero Maestro coatings woody peroffrire provides advice and recommendations relating to its customers, ensuring the collaboration with engineers and experts and competent designers who will promptly realize the designs and ideas submitted by architects and private. The laying of the wall or the coating is done by our team of experienced installers, who are there to transfers across Italy to manage and / or supervise the work. The Product shutter speeds vary depending on the specific implementation; installations have really fast timing because the technique developed after years of work allowed us to optimize the work on site.